Progress LED lighting is state-of-the-art technology for the 21st century. Super-efficient and long-lasting (up to 60,000 hours), these revolutionary fixtures are perfect for the environmentally conscious consumer. Designed for use with Progress recessed housings (P87-LED, P87-AT, P187-TG and other 6 in. housings); also compatible with housings made by Halo, Juno, and many others. Recessed trim uses only 12 watts and provides lighting equivalent to a 75-watt PAR30 bulb. Progress Led 3000k 6 inch White Recessed Trim Progress LED lighting is state-of-the-art technology for the 21st century. Super-efficient and long-lasting (up to 60,000 hours), these revolutionary fixtures are perfect for the environmentally conscious consumer. Designed for use with Progress recessed housings (P87-LED, P87-AT, P187-TG and other 6 in. housings); also compatible with housings made by Halo, Juno, and many others. 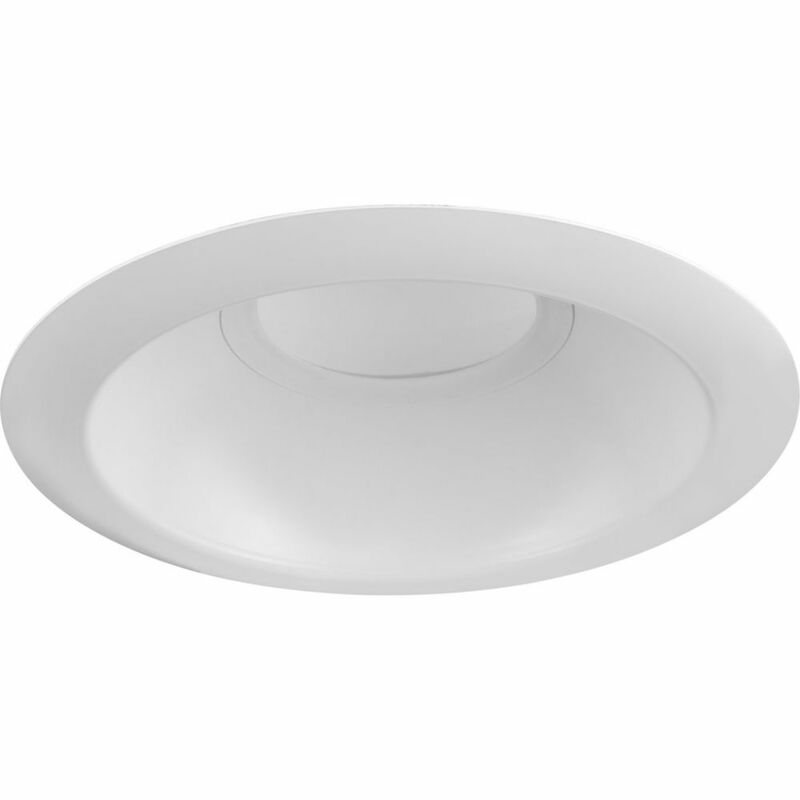 Recessed trim uses only 12 watts and provides lighting equivalent to a 75-watt PAR30 bulb. Progress Led 3000k 6 inch White Recessed Trim is rated 5.0 out of 5 by 1. Rated 5 out of 5 by homebody from Only product that retrofit in the bathroom cans. Easy to install, very bright light. Only product that retrofit in the bathroom cans. Easy to install, very bright light.